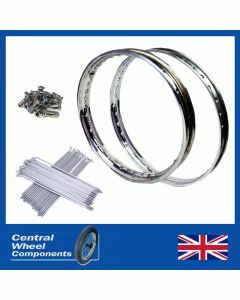 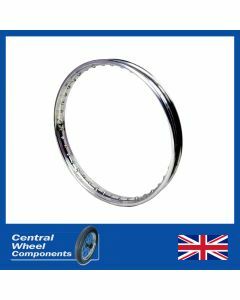 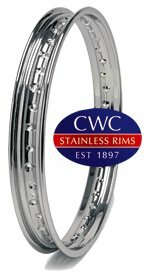 CWC Stainless Steel Rims are a replica of the original profile rim produced by OEM, Dunlop and Jones. 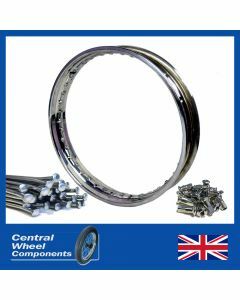 Highly polished with a brilliant shine, they are virtually indistinguishable from chrome and provide a ‘no rust’ solution when rebuilding the wheels on your restoration project. 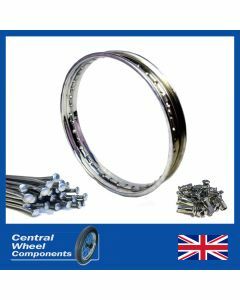 Extremely durable, they are long lasting and will polish up like new for years to come.